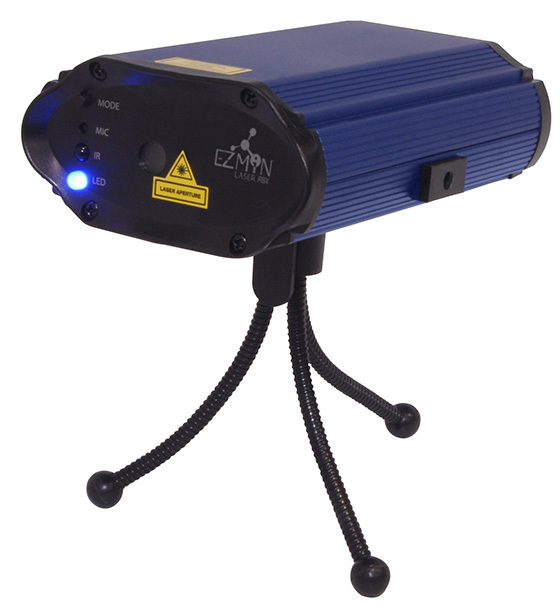 EZMiN Laser RBX is an ultra-compact, portable battery-operated, variance-free laser, ready to use right out of the box. 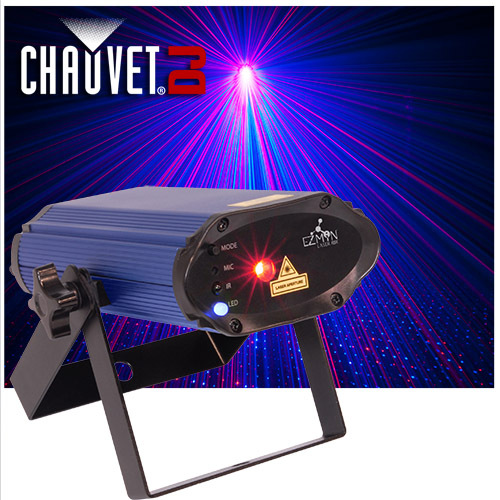 Projecting thousands of red and blue laser beams and motion effects, it has a run time of up to 6 hours from a single charge with the rechargeable, lithium battery. Create customized shows with independent control of red and blue laser diodes and easily generate eye-catching effects with sound-activated and automated programs. 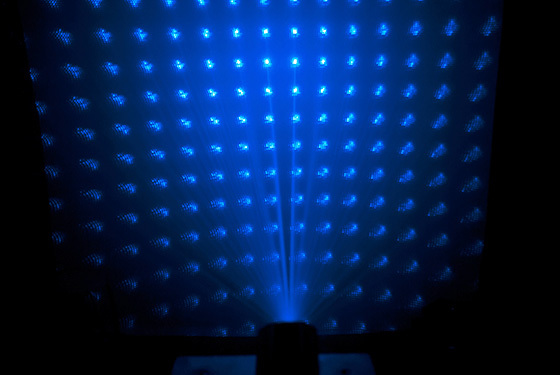 It covers a large, wide area and looks great with or without fog. 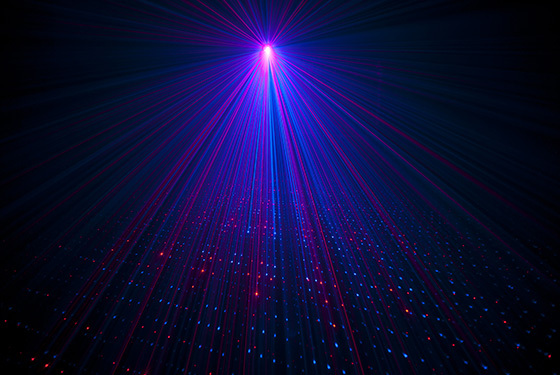 Wirelessly set color and rotation speeds with the included wireless remote control.